Getting rid of trees in your yard can be a big, messy process. If you don’t have a lot of experience, it can also be dangerous. If you have a tree you want to get rid of, give Arborist Tree Service a call. You will get a fair price for great service. Do you have trees that were perfect for shade in your yard the last two decades, but now they are hitting your house and roof and causing damage? Maybe you have a tree you loved at first, but now you want more space. With more than 15 years of experience Derek Babcock at Arborist Tree Service can help you trim, prune or remove the trees in your yard. Removing a tree stump from the ground is not as easy as you think it would be. There are several different ways to do it. 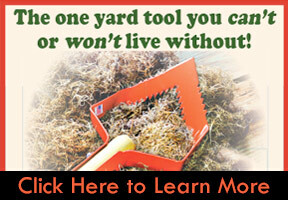 It can be dug out, shredded with a grinder or burned. To make sure it is done right with no chance of re-growth leave it to the professionals. Is your tree getting a little too big and taking over a little too much space in your yard? A simple tree trim will fix that problem and help your tree thrive. Arborist Tree Service can make your tree look great and help keep it from rubbing against your home and ruining your siding, or falling on your roof and causing major damage. If you are doing some new landscaping and adding trees to your yard we can help you with that! We will make sure the trees are planted in a place where they will get good water absorption and sunlight so they will grow big and healthy. We can give you advice if you have questions about what trees to get and where to plant them. When it comes to adding trees to you yard, leave it to the tree experts. A dead tree in your yard is unattractive. If you are spending a lot of time and money on your yard to make it look great, you’ll want to spend some of that money on removing a dead tree. It takes away from the beauty of your landscaping. Instead of birds making nests in a big beautiful tree, you will have termites making a home in your dead tree. To get rid of unwanted pests in your yard, get rid of any dead trees. Dead trees can also be dangerous. 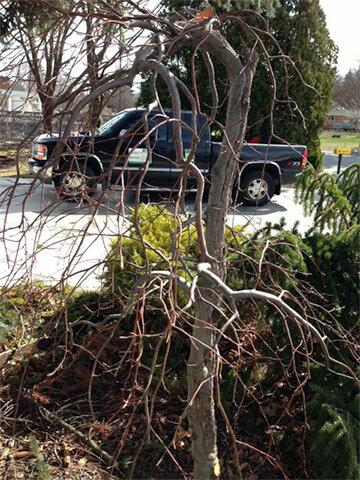 The branches are more likely to fall, making for unwanted clean up in your yard. The tree itself could also topple over hurting someone nearby or causing major damage to your car, garage or home. Removing dead trees in your yard is money well spent. Never top a tree. When people remove the entire top of a tree or even large branches from the top of the trees, it causes major damage and does little good. Instead of topping a tree just have the tree trimmed down to a healthy size. Taking a little from all over the tree is by far the better way to go instead of just cutting off the top of a tree. After the holidays are over and you are getting back into the normal life routine, call us to come and remove your dead Christmas tree. No mess and no hassle.